I have to admit feeling a sense of relief when garbage pick-up became automated. It meant that I would be anonymous to the sanitation workers as well as to those searching the garbage dump for hidden treasures. But here's industrial designer Craighton Berman, putting together a trash basket and a lamp, of all things, so that our trash can be... in fact, wants to be... observed... even searched by our family and guests. 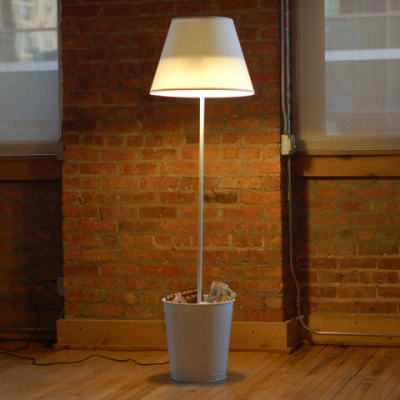 How would you arrange your trash in the Trashlight - Berman's floor lamp and trash can combo? 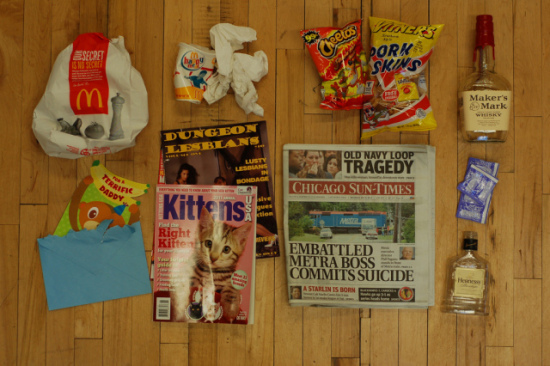 Would you select your trash 'to be seen' like the curios on your shelves or the magazines on your coffee table? In other words, would you treat the Trashlight like a catchall for things you can't display but want people to see? 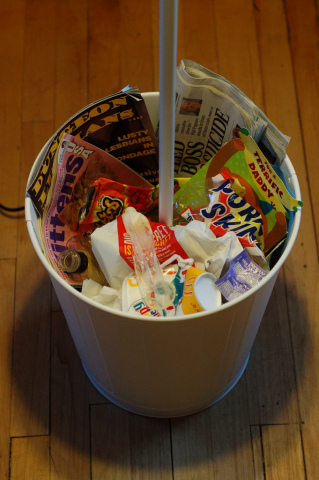 Or would you bury your tissues, your used condoms, your shredded receipts on the bottom of the Trashlight and treat the upper half with used cans of shaving cream, razors, and food wrappers? Or would you even consider what others might see under that bright spotlight? Maybe, as Berman proposes, "putting our trash in the spotlight [might] force us to further consider the nature of consumption and disposability." Craighton Berman's Trashlight was created for Uncomfortable Conversation, an exhibition curated by Design Glut for NYC Design Week 2010. Contact Berman through his website for production inquiries.